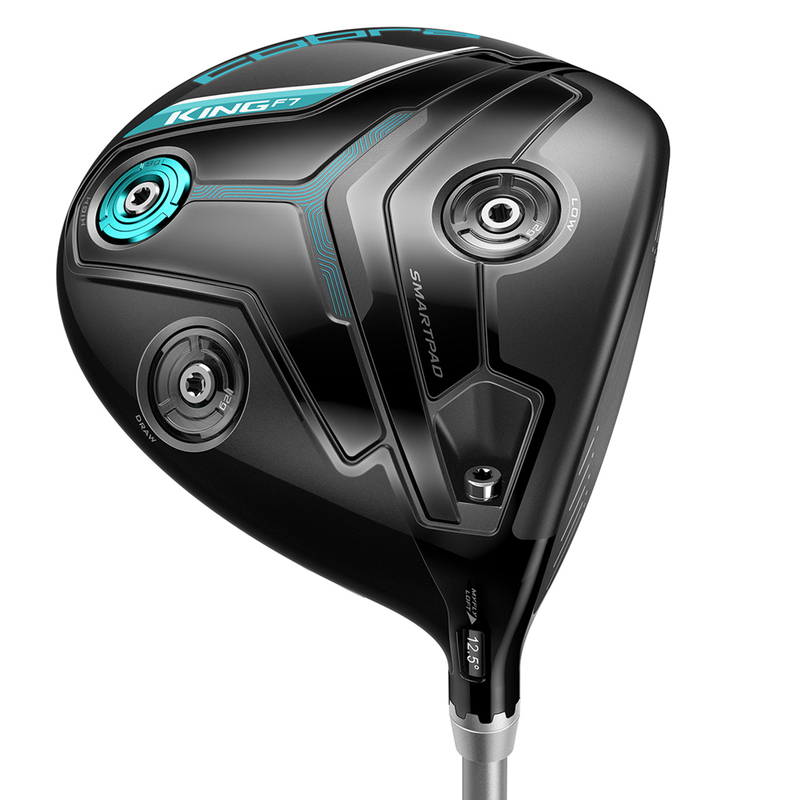 The F7 Black Driver has been designed to be the most innovative driver with Cobra CONNECT technology, whilst delivering playable distances, unmatched feel and forgiveness. 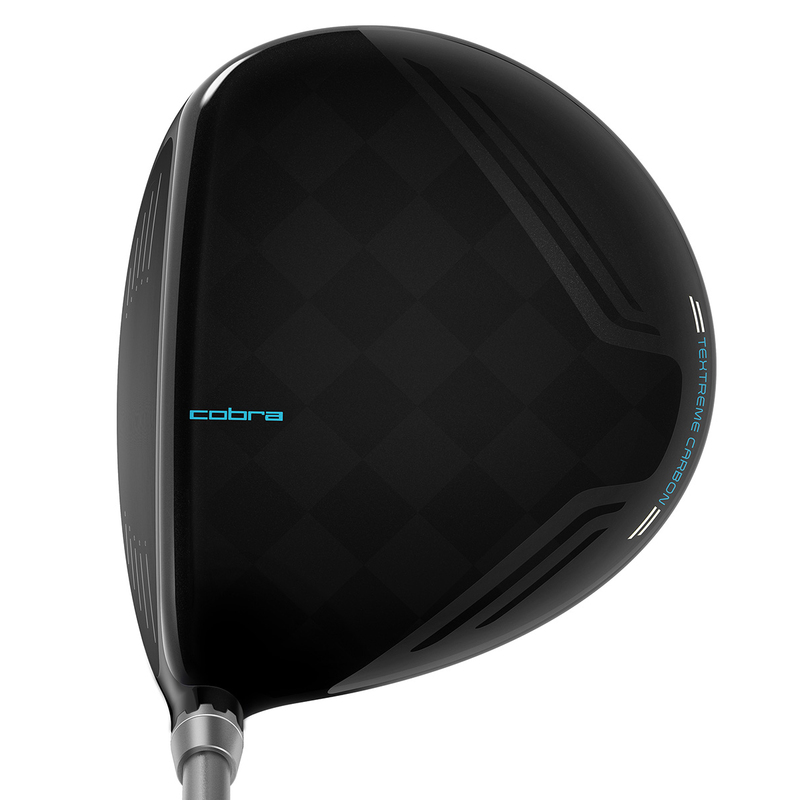 The driver has Cobra CONNECT technology incorporated into the golf grip which gives the golfer access to performance data, GPS rangefinder data, plus access to over 40,000 international golf courses. Download the free Arccos driver smartphone app and pair your club to your phone and track your distance and accuracy of every drive. This 460cc head size driver has a coloured 12g weight which allows you to adjust the CG settings with 3 different locations. This helps to produce different desired ball flights, either to hit a penetrating low shot with less spin, provide a more towering shot with added spin for more accuracy, plus more draw spin to correct a slice for longer straighter drives. One of the first things you will notice is a Multi-Material head design, with a TeXtreme Carbon Fibre crown that produces a 20% lighter crown. This allowed more weight to be redistributed for extreme distance and more forgiveness. 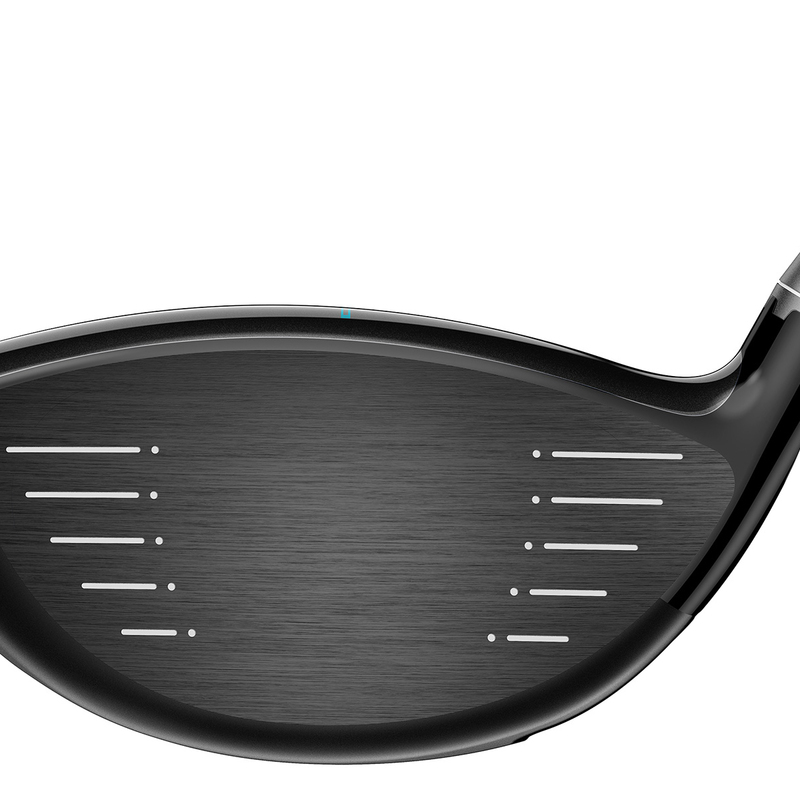 The club face has been re-engineered with a lighter and thinner Forged 8-11 Titanium E9 Face which gives a larger sweet spot, for more performance on off centre ball strikes. Play the game you want to play with the adjustable loft & lie MyFly8 Tech & SmartPad settings to personalise this driver to your ideal specification. 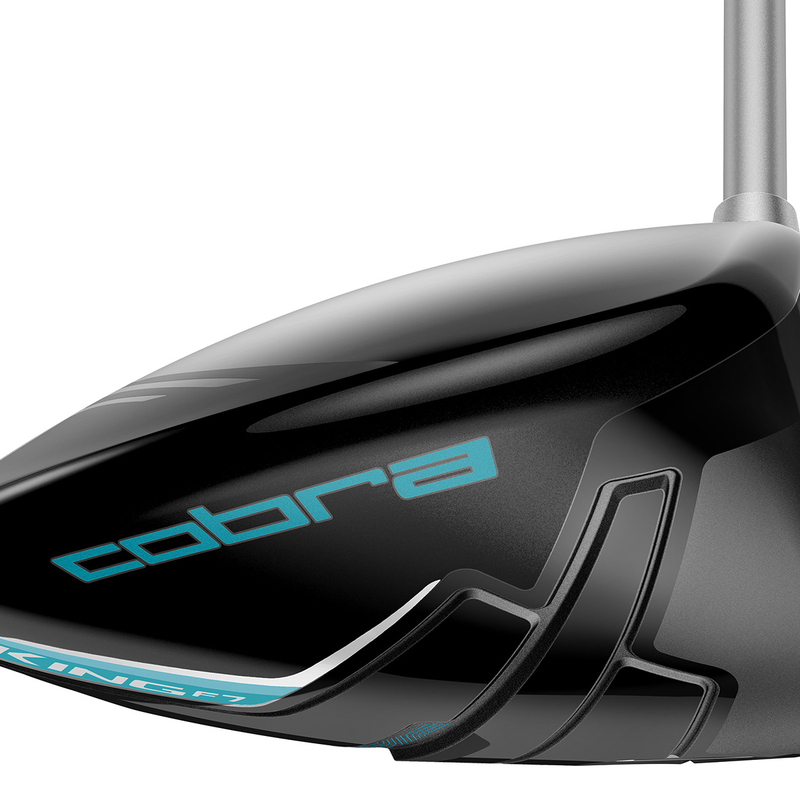 The Cobra King F7 Black driver comes complete with a matching head cover.